Running an agency that has a great depth of clients provides us with access to some awesome data. 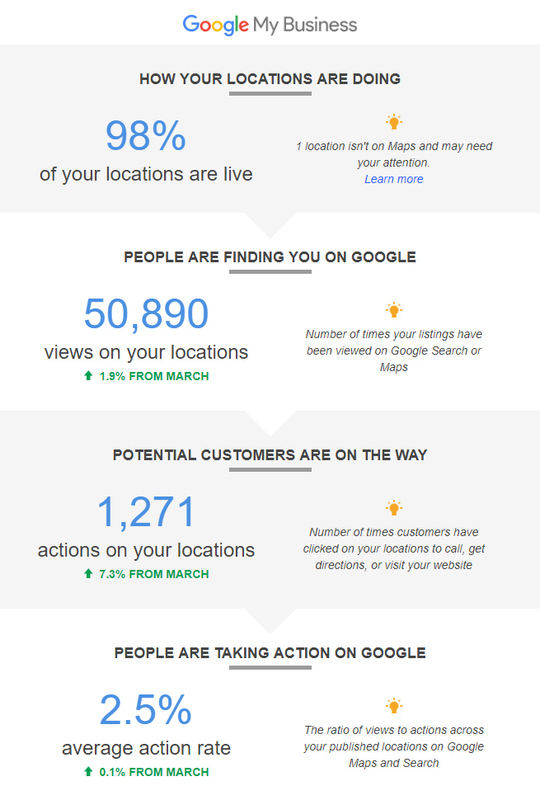 This data helps us do a better job of identifying problems, analyzing trends and providing better SEO. 50,890 views. 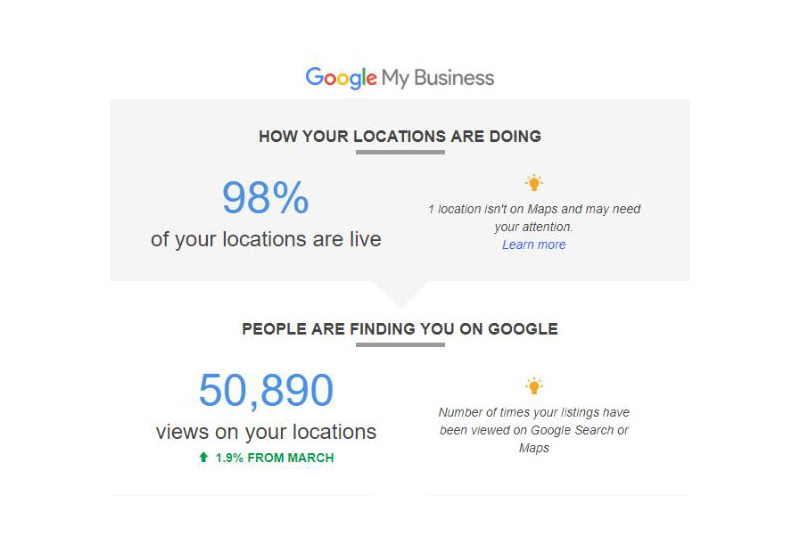 That’s amazing considering the number of active listings we manage. That’s serious reach, and it continues to grow. 1,271 actions, which we understand as being a click of some type on the listing (click to call, click to website, click for directions). 2.5% Action (CTR) rate. Pretty standard really. I would expect to see this a bit higher, but there’s quite a few factors packed into this. From our understanding, this is for one calendar month.